You can use the full-size trimmer to start and cut back your beard and the precision trimmer to be a bit more precise and finish with the styling. Use the nose trimmer to get rid of the visible nose hair. The blades are made from the Titanium Blade Technology which makes them super sharp and long lasting. Secondly, you can use the turbo boost feature to get rid of those thick and coarse facial hairs. The stubble comb and the beard comb can be used to trim your beard at a perfect length thus allowing versatility in beard styling. The hair comb offers 18 different length settings from 3mm to 20mm with 1mm increment. As the whole kit is waterproof, the cleaning process is very easy. Although the trimmer is waterproof and can survive accidental falls into the water, we wouldn’t recommend you to put the whole thing in water for cleaning. Just remove the head and wash it separately. The trimmer does support both cord and cordless charging and has an LED charging indicator. Although the blue LED could sometimes be annoying. Now that we have talked a lot about the product, let’s summarize its pros and cons. 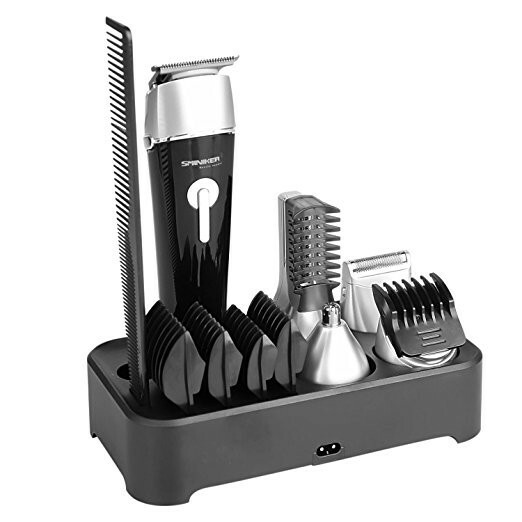 Titanium Blade Technology ensures super sharp and long lasting blades. Hair Comb with 18 different length settings provides you with a lot of versatility. Both Cord and Cordless Charging Support. Included stand for the whole kit. Turbo Boost Feature to take care of the thick and coarse hair. The stand is not sturdy. The LED Light can get annoying. The trimmer doesn’t feel ergonomic in hand. Overall, I feel that it is a good product for the price it’s available at. 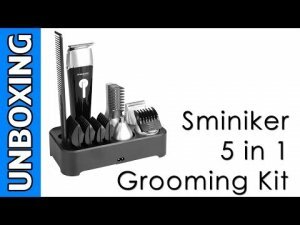 Everyone has their own priorities when looking for a product but I genuinely feel that this product is a great Value for Money Product and would fit in just nicely for various grooming needs. At this price you get a lot of cutter for the money! Not suitable if you need to experiment with different millimeter depths as you are limited by set combs. That won't be an issue for many so this is our value for money trimmer of choice. Don't be fooled by the lack of a brand name this is a worthy purchase.